Phulbani: Ahead of the general election, Chief Minister Naveen Patnaik today announced sops for the Kandhamal district. He announced four new projects for the Kandhamal district while addressing a mega Yuva Samabesh of BJD. He announced to construct a bridge over river Salunki at a cost of Rs 15 crore. The road connecting Baliguda to Gudimaska will be upgraded for which Rs 8 crore will be spent. He also announced Rs 16 crore to be spent for the road construction from Raikia to Manikeswar. The CM also announced piped water project for Balikuda NAC for which Rs 7 crore will be spent. 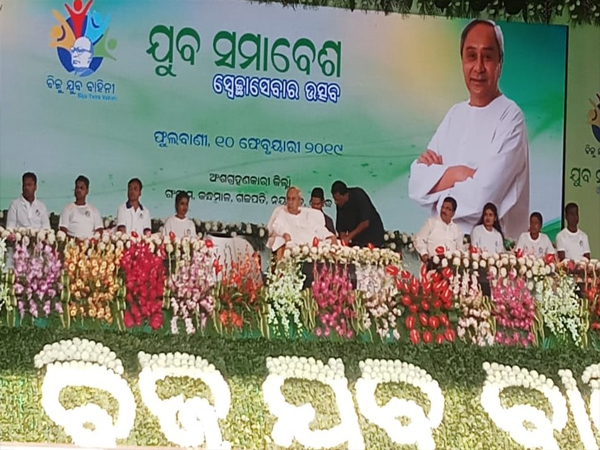 He announced the sops while attending Yuva Samabesh which was attened by Biju Yuva Bahini members of five districts Ganjam, Gajapati,Boudh and Nayagarh. He announced projects worth Rs 250 crore for the development of these five district. Tags: BoudhChief Minister Naveen PatnaikGajapatiGanjamKandhamal districtNayagarhYuva Samabesh of BJD.